Successful internal communications are built on measurement. It validates effort and expense to management and bolsters the case for future resources. Quantifying value is essential in recognizing just how much internal communications contributes to the organization. 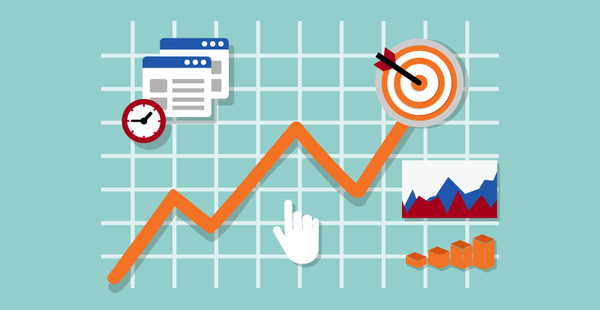 Better measurement practices predict increased financial performance. Selecting the right tools with the right tracking helps connect the dots between internal communication, employee engagement and financial performance. If your existing communications channels don’t provide reliable measurement of outcomes, how can you know what’s effective and what’s a waste of your time and investment? You should measure existing knowledge, attitudes and behaviors of employees, prior to any change. Understand employee attitudes then tailor messages appropriate to each audience. Data is key for optimizing internal communications. Insights can be captured via polls, surveys and quizzes. 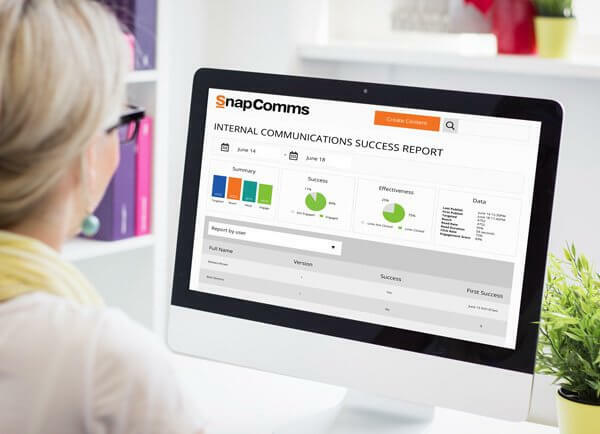 SnapComms customizable reporting makes measuring communication effectiveness easy. Delve into the detail of which channels perform strongest and which users have engaged – or take a holistic view of performance across your whole comms platform. The power is in your hands. 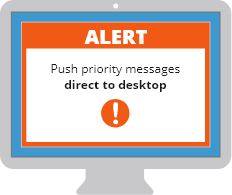 Desktop alerts are high-impact, designed for instant attention to priority messages. 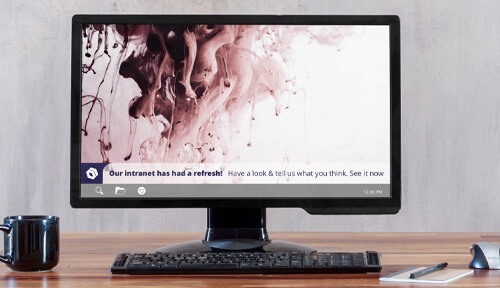 In-built tracking reports on readership and click-through rates. Track user engagement and use recurrence settings to drive 100% cut-through. 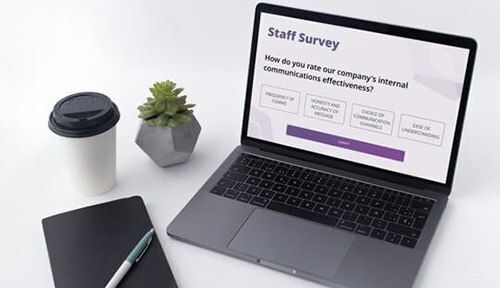 Staff surveys can be used to collect insights into the effectiveness of internal comms. 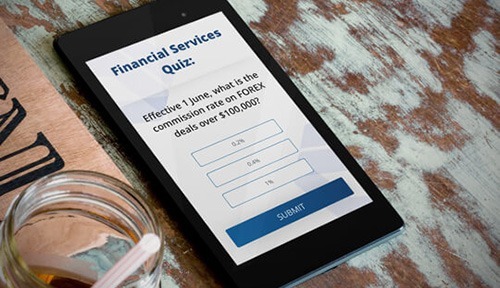 Flexible question formats and simple data exporting make this a highly effective quantitative measurement tool. A staff quiz offers unlimited opportunities to measure employee knowledge and understanding in times when internal comms are critical. For example, exporting valuable insights around organizational change. 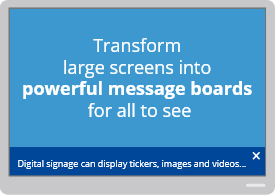 Desktop tickers are important staff notifications where engagement can be measured through click-tracking of in-message hyperlinks. Measure existing knowledge, attitudes and behaviors of employees, prior to any change. Use baseline data to define key performance indicators post-change. Take pulse and temperature checks through surveys following organizational change. Understand employee attitudes and tailor messages appropriate to each audience. 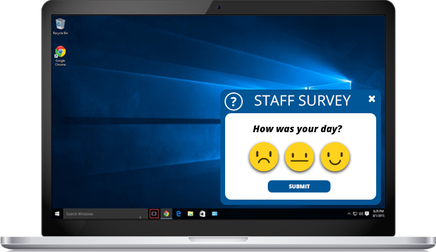 Staff surveys and quizzes can measure shifts in behavior, plus dive into the causes of any changes. 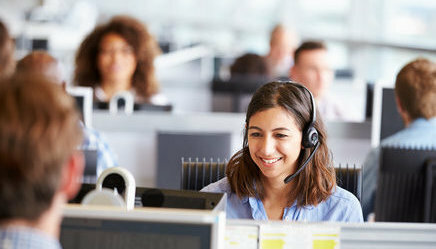 Identify lifts in customer satisfaction and staff retention as a result of changed behavior. Use desktop alert and ticker reporting to improve campaign performance in real-time. Identify early warning of potential issues before they escalate. The SnapComms platform includes special features and unique channel applications to enable effective measurement. The SnapComms content manager provides full reporting around message visibility, recurrence statistics, cut-through, hyperlinks clicked, and survey and quiz results. Reports can be exported to Excel for further analysis. The registration alert tool can collect information from employees regarding their demographics and information preferences. Targeting groups can then be set up based on this information. This functionality allows demographic surveying, for example to collect responses from employees with families versus those without. 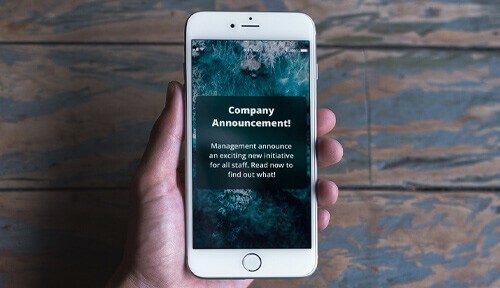 Targeting features make it possible to pilot and pre-test communications within a specified group of employees. It’s also possible to assess the impact of communications by making comparisons to a defined control group. The RSVP alert tool sends invitations to targeted employees with multiple attendance options. Outlook calendars are updated with each employee’s selections. Reporting options show who is attending which session, as well as the answers to any additional questions that have been included (eg. dietary preferences, transport requirements etc). Information overload was costing this leading telco $10m every year in wasted time. A bold new comms strategy and comprehensive measurement plan revealed some staggering results. The challenge of generating actionable data around employee satisfaction was a top concern for this financial services provider. Understanding the results of efforts throughout the year is a big deal. This handy guide will help you get started with measuring internal communications in your organization.